Senior US government official says 'significant progress' in talks last week with the Taliban in Qatar. A senior US government official, speaking after six days of U.S. peace talks with Afghan Taliban militants, said on Monday that Washington was committed to withdrawing foreign forces from Afghanistan to end more than 17 years of war. The official, who declined to be identified, described "significant progress" in talks last week with the Taliban in Qatar about a foreign troop pullout, but more negotiations were needed on a ceasefire and its timing. "Of course we don't seek a permanent military presence in Afghanistan," the official said in the capital Kabul. "Our goal is to help bring peace in Afghanistan and we would like a future partnership, newly defined with a post peace government," the official told Reuters. "We would like to leave a good legacy." There could not be a withdrawal without a ceasefire, the official said. The issue looms as a sticking point in the next round of talks on February 25, with the US official saying Taliban negotiators wanted a full withdrawal before a ceasefire. There were reports last month that the United States was considering pulling out almost half of its forces, but a White House spokesman said US President Donald Trump had not issued orders to withdraw. However, the administration has not denied the reports. Both US officials and the hardline Islamic group hailed progress after the talks on Saturday with US special peace envoy Zalmay Khalilzad. He told the New York Times on Monday that a draft framework had been completed but details still needed to be fleshed out. 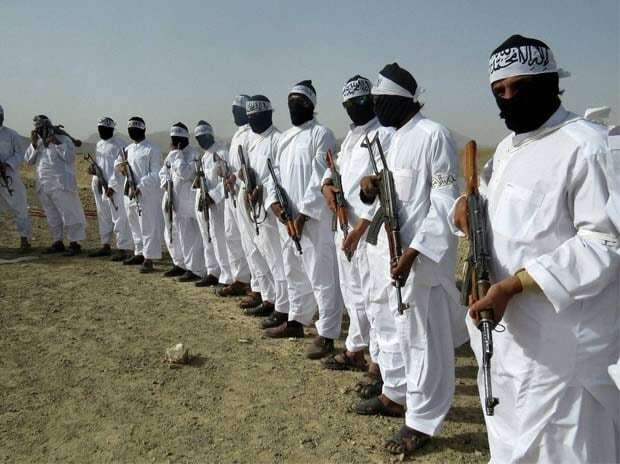 Taliban sources told Reuters on Saturday that the United States had agreed on the withdrawal of foreign troops within 18 months of the signing of a pact but the US official said a timeline was not discussed. "That is why we came to Afghanistan in the first place," the official said. Apart from the ceasefire, the Taliban did not discuss the need for talks with the Afghan government to reach a durable political settlement, the US official said. The Taliban have repeatedly refused to talk to the Afghan government, which they see as a puppet of the United States, throwing into question how effective a peace deal could really be. The Taliban do want, however, to join an interim government post-deal--something that alarms Ghani. Khalilzad, an Afghan-born American diplomat, met Ghani for four hours on Sunday to outline progress and seek his support. In response, Ghani said in a televised address that the presence of foreign forces was based on an international agreement and they will not be required for ever. "No Afghans want foreign forces in their country for the long term," Ghani said. "The current presence of foreign forces is based on need...and according to an exact and arranged plan we are trying to bring down that number to zero."